Thanks for 20 years of excellence!! It is Friday, March 4th, in Australia, as this post is being written, and The Legal Genealogist is winging her way eastward from the very western borders of this great nation to the eastern side — from Perth to Brisbane. Tomorrow we will have the last land-side seminar of this Unlock the Past trip and, Sunday, for me, it’s homeward bound at last. But on this Friday, March 4th, I’m reflecting not on the 20-plus days of this amazing trip… but on 20 years of another amazing trip. A trip the entire genealogical community has been taken on. A trip even its originator couldn’t have imagined when it began. The trip we can all still enjoy. The trip that — today — Friday, March 4th in the United States — ends its 20th year and enters its 21st year. The trip for which we can all be so grateful. The trip that is Cyndi’s List. It began on March 4, 1996, as 1,025 links on a single web page, and was — and is — the brainchild and work product of of a single person — Cyndi Ingle. And from Day One, this has been a labor of love and a free gift to genealogists everywhere. It was just a personal website of a housewife from Puyallup, Washington, when it began. It is a powerhouse of information guiding genealogists to just the right bit of data today. It can save us time by pointing us to just the right resource. It can also tell us about resources we might never have considered — or even dreamed existed. And — did I mention? — it’s free. It’s always been free. Despite the fact that that “housewife from Puyallup” (who is, by the way, the devoted mother of a now-college-age-son, a lover of all things purple, a talented and gifted genealogical speaker, and, dare I claim it, a good friend) puts in long work hours every day, six to seven days a week. Nobody has ever paid a dime to access the site and — perhaps even more importantly — no site has ever been able to buy its way into the links or into a preferred position on the site. This amazing guide to genealogical resources everywhere around the world hit its one millionth visitor after just 18th months, its 10 millionth visitor after just three and a half years and its 20 millionth visitor just one day after its fifth anniversary. By that fifth anniversary, those 1,025 links had grown to more than 100,000 links. 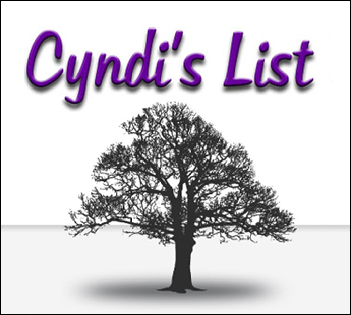 By its 10th anniversary, Cyndi’s List had more than a quarter of a million links. And there are many more today. Links to information about countries, states, counties and localities. Links to religions and church records. Links to categories of information about copyright and ethics. Links we can add to, if we wish, because there’s a Submit a New Link button. Links we can report if they’re no longer working, with a Report a Broken Link button. Links we can improve with an Update a Link button. And links we can — and should! — support with a Donate button. Because — did I mention this already? — Cyndi’s List is free. Free to us. There are no subscriptions, no payments, no out of pockets for genealogists. But it’s sure not free for its owner and operator, who is still working to pay off a major site upgrade a few years ago. And I can’t think of a better way to say thank you for the 20-year gift that Cyndi’s List has been to the genealogical community than hitting that Donate button today, on the very first day of the next 20 years. Here’s to you, Cyndi Ingle, and to Cyndi’s List, and to the future of great links to genealogical resources around the world. Thank you, Judy, for the reminder of such enduring value. That report-a-broken-link button was brilliant, and really does work. Thank you for the wonderful photo tour of New Zealand and Australia. Those countries are on my bucket list. I’ve just sent a donation to Cyndi’s List because it is one of my go-to websites that I cannot do without. Thanks for the reminder. Safe travels and I am looking forward to hearing you speak at our March 12th genealogical conference in Naperville, Illinois. I started my genealogy research a few years before I retired, and Cyndi’s List was my #1 site to help me learn what/where/when/why about genealogy. So very helpful. And I donate whenever I can manage it – wish I could do more. How right you are (as usual)! I live in the same part of the country as Cyndi, and have seen her speak, as well as be a vendor at various conferences. She is always friendly to a fault, funny, and yes, she loves that purple! I realized from listening to a podcast from a few years ago where she was the interviewee that I had actually seen her very first speaking engagement – she appeared in her robe and bunny slippers! It put the audience at ease, worked well with the topic, and she was great!